If you are looking for affordable laptop screen repair or laptop screen replacement services, we can help you. At Creative IT, in London, UK, we provide a full range of laptop repair services. 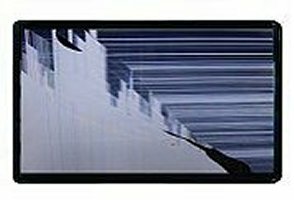 If you need your broken / cracked or damaged laptop screen replaced, or if you have some other display issues with your laptop screen, feel free to contact us. We are specialized in quick turn around laptop screen repair and our services are fully guaranteed. At Creative IT, our exceptionally trained laptop screen repair technicians are able to troubleshoot and fix even the most complicated notebook display issues. Our engineers are specialists in troubleshooting display, video and screen problems for all types of laptop, notebook, netbook and tablet computers and are skillful in fixing, repairing or replacing damaged notebook computer screens. Our laptop screen repair and replacement are carried out in-house by our professional, experienced engineers and the cost of laptop screen replacement service will depend on your laptop brand and screen size. Our prices start from £95+vat including parts and labour. We offer 90 day warranty on our repairs. We provide same day laptop screen replacement services for your broken, damaged, cracked, smashed or faulty screens using the highest quality parts. We are experienced and competent to fix and replace screens of DELL®, Sony, HP, Acer, Asus, Compaq, Toshiba, Gateway, ALIENWARE®, Apple, Lenovo, Samsung, Packard Bell, Microsoft Surface, MSI and ORIGIN PC laptop models. No prior appointment is necessary and walk-ins are highly welcome. 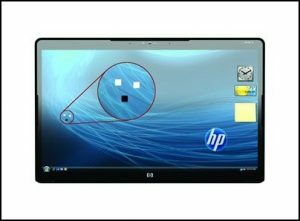 You can bring your defective laptop to our repair centre in Central London and we can provide a free evaluation of the issue with your laptop screen. We offer a No Fix, No Fee Guarantee. For more information regarding our London laptop screen repair and laptop screen replacement services, please do contact us on 020 7237 6805 or e-mail us at info@creativeit.tv.